Since 2003, Karen Dumais has sold over 50 million dollars worth of properties and has received multiple awards for her outstanding performance. She has consistently been ranked in the top 10 agents for Berkshire Hathaway HomeServices American Heritage Real Estate, which is itself one of the most successful brokerages in the Chicago Northwest Suburbs. Karen Dumais believes her client’s interest is #1. Educating and communicating to people is a must. With the ever changing real estate market, buyers and sellers need to be kept current and know what needs to be done in order to buy or sell their home. Karen excels at this. 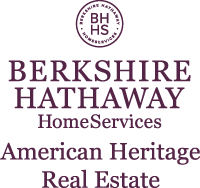 expert) and is a member of the Berkshire Hathaway HomeServices American Heritage Relocation Team. These designations and experience help Karen effectively assist her clients through the home buying and/or selling process. For an excellent real estate experience contact Karen Dumais today. She’ll be more than happy to help you in your home buying/selling journey and you might even have some fun! No wonder her motto is “I work hard so you don’t have to”.